They rarely come more brave, more brilliant or more devoted than Havard professor and award-winning author Naomi Oreskes. 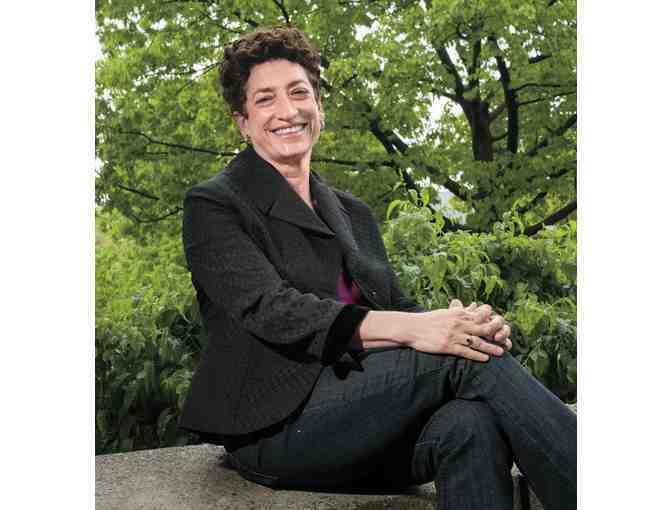 Called "A Lightning Rod in a Changing Climate" by the New York Times, Naomi Oreskes helps raise money to defend researchers targeted for criticism by climate change denialists. Now, the co-author of such books as Merchants of Doubt and The Collapse of Western Civilization, Dr. Oreskes is volunteering an hour of her time to meet with one lucky bidder, to share musings about... well, the end of the world as we know it... Or, better yet, the way to a better future. Noami is Professor of the History of Science and Affiliated Professor of Earth and Planetary Sciences at Harvard. Her 2004 essay The Scientific Consensus on Climate Change (Science 306: 1686) has been widely cited, including in the Royal Societys publication, A Guide to Facts and Fictions about Climate Change," in the Academy-award winning film, An Inconvenient Truth, and in Ian McEwans novel, Solar. Her opinion pieces have appeared in The Washington Post, The Los Angeles Times, The Times (London), Nature, Science,The New Statesman, Frankfurter Allgemeine and elsewhere. Her 2014 book with Conway, The Collapse of Western Civilization (Columbia), imagines a future with climate change run rampant. Her 2010 book, Merchants of Doubt, How a Handful of Scientists Obscured the Truth on Issues from Tobacco to Global warming, co-authored with Erik M. Conway, was shortlisted for the Los Angeles Time Book Prize, and received the 2011 Watson-Davis Prize from the History of Science Society.She has become a heroine to activist college students, supporting their demand that universities and other institutions divest from fossil fuels.Dr. Oreskes dug deeply into the history of climate change denial. Her core discovery, made with a co-author, Erik M. Conway, was twofold: dubious tactics had been used over decades to cast doubt on scientific findings relating to subjects like acid rain, the ozone shield, tobacco smoke and climate change, and iin each case, the tactics were employed by the same group of people. Learn more about Naomi here. This item must be redeemed within one year of auction close and take place at a mutually agreed upon day and time. Travel not included. Other restrictions may apply.